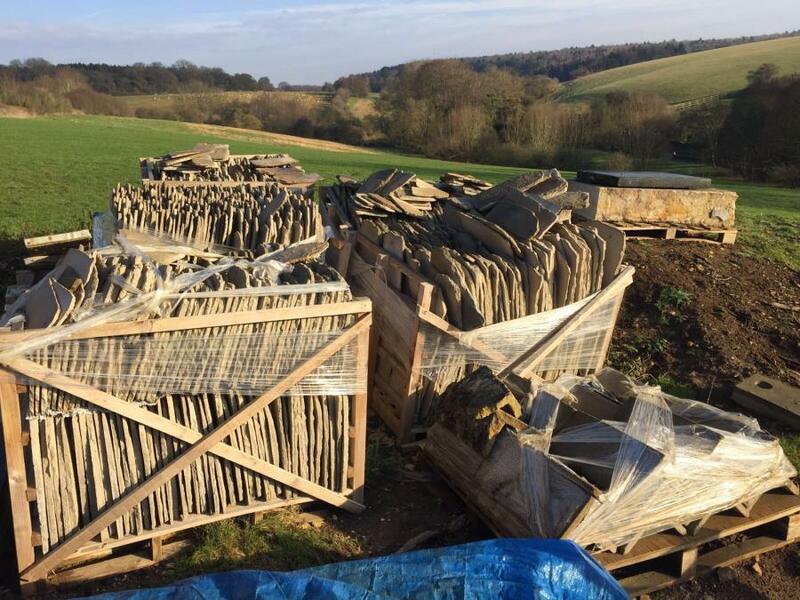 For Sale: 60m2 of reproduction Cotswold Stone Roofing Slates for Sale and 14m2 of reproduction Ridge Slate for sale. Surplus material for job now completed - looks great very satisfied with the result. Slates are packed in pallets and ready to go. Good quality, used on project alongside reclaimed and hard to tell difference. Originally paid £3,200 (original invoice can be shown) but offers of £1,950 will be considered.